Sample RAW files of the D850 are now readily available and Capture NX-D has been update to process those RAW files. This allows to disable noise reduction and to have a clear look on the high ISO performance of the new 45 MP sensor. The hype regarding the noise performance above ISO 3.200 should be gone rather quickly. 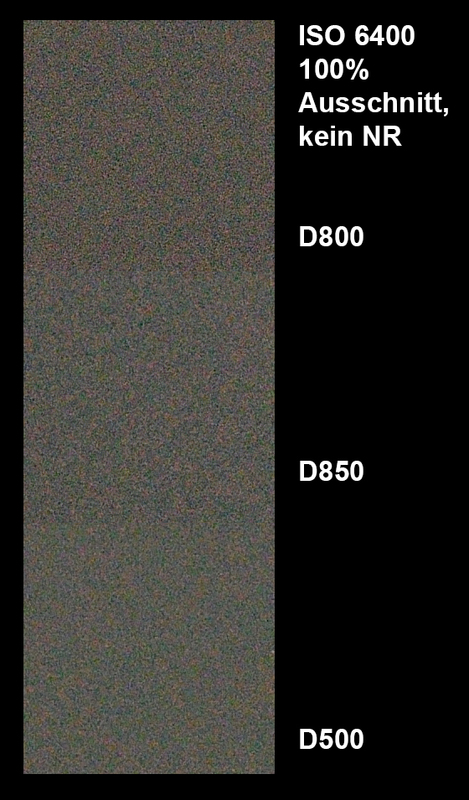 Looking at the RWA files without any NR, it becomes quite clear that the D850 does not perform any better than a D800/D810. 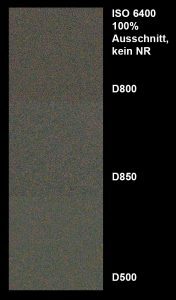 This is in itself is a progress, since we are having now almost 10 MP more on the same sensor area. However, this is an evolution and not a revolution. We should expect a certain kind of maturity in sensor technology, big jumps in performance are now a thing of the past. For me the D800 is perfectly usable up to ISO 3.200 and with care up to ISO 6.400. My D4 gets used up to ISO 12.800. The same should apply to the D5. This difference of one stop (or a bit more) should hold up for the foreseeable future. Low resolution sensors will retain an ISO advantage for the time being. The D850 is an excellent camera and worth the upgrade for many owners of D800 and D810. However, high ISO performance should not be the criteria to spend the money.